My watercolour puffin is now complete, I enjoyed painting him, but really should have left more white space I think, I am slowly getting to grips with a more free approach to painting. I did struggle with this technique when it came to the head and feet, finding my old style of painting detail in began to shine through, but practice practice practice, my next post is a better attempt of the dog in a free approach to painting. 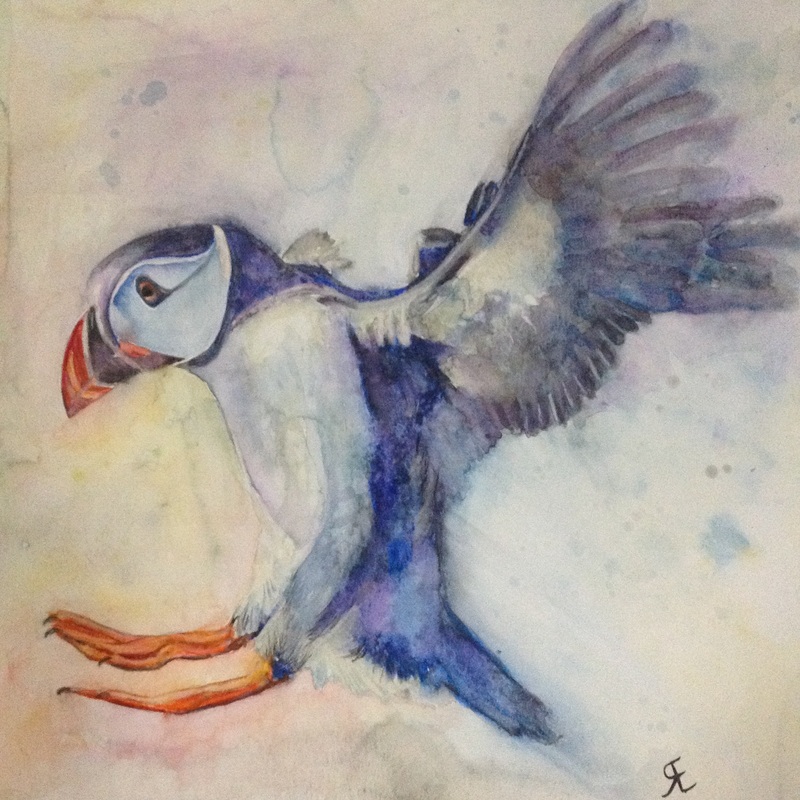 This entry was posted in art, puffin, watercolour and tagged art, painting, Painting, puffin, watercolour. Bookmark the permalink. I really like the puffin, it really captures the movement.